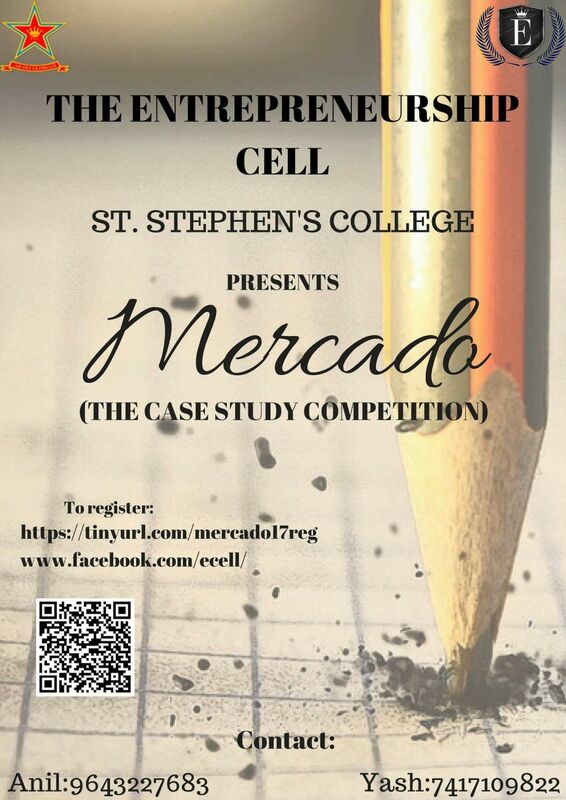 Mercado, as evident from its literal meaning “market”, is a market strategy case-study competition. It is an insight into the exciting world of consultants, where participants are required to use analytical skills, business acumen and market strategy to tackle both case studies and guesstimates. Round 1 (online): Participants will be required to solve a business and market strategy case. Round 2: Teams that qualify the first round will be invited to St. Stephen’s College for the final round which will be based on Image building strategies with the element of guesstimate. 1. This event is open to undergraduate students from all colleges. 2. No prior experience is required. 3. Maximum number of people in one team is 2 . Lone wolves are allowed. 4. Cross college teams are permitted.